There are specialized crews for every situation. REMSA is committed to be ever evolving to improve patient outcomes, quicker response times and to make sure every patient treated gets the best medical care available. REMSA Ground Operations is a private, self-sustaining entity that is comprised of 45 ambulances. 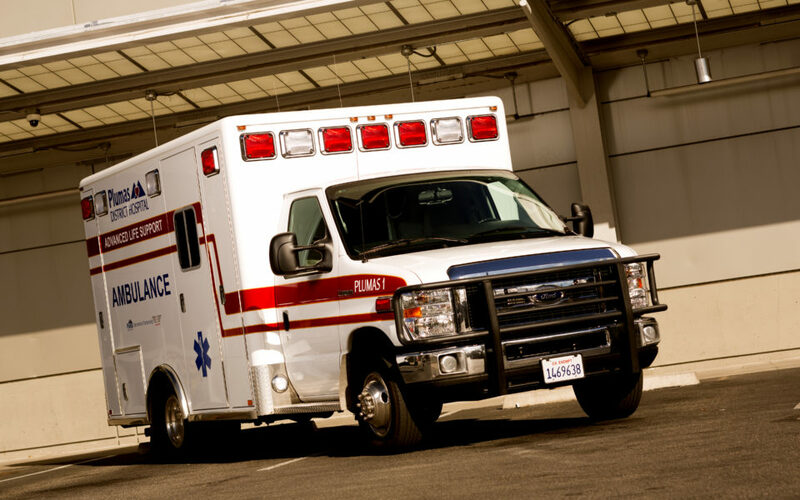 All emergency response ambulances are staffed with a highly-trained Paramedic and Advanced EMT. Regional Emergency Medical Service Authority (REMSA) was established in 1986 with only a handful of ambulances and staff. 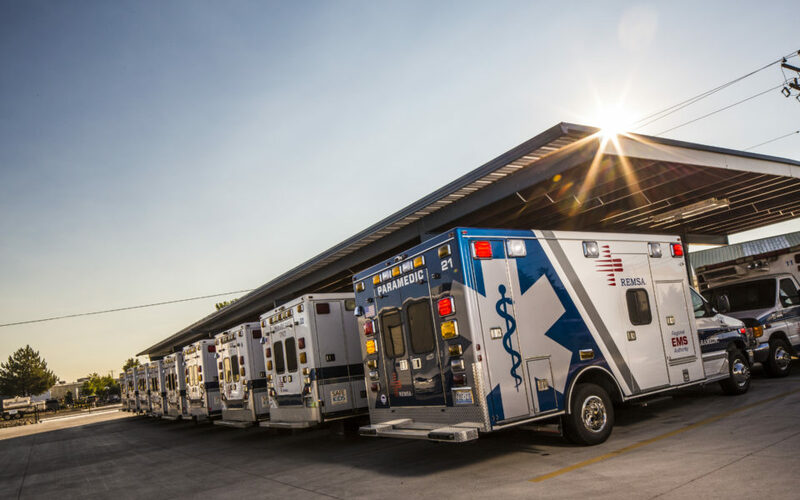 REMSA now has a fleet of 45 ambulances, eight support vehicles and a Critical Care Transport unit, and employs 200 full time and per diem Paramedics, AEMTs and EMTBs. As the busiest ambulance transportation company in the region, REMSA responds to approximately 73,000 calls per year and transports more than 50,000 patients per year. As part of a regional integrated emergency medical services and healthcare delivery system, Care Flight is always ready to care for the region’s critically sick and injured patients — regardless of illness, injury, distance, weather or terrain. Care Flight Ground critical care transport ambulances are staffed with a critical care nurse, a critical care paramedic, and an EMT driver. This specialty team provides Advanced Medical Life support during technical Search and Rescue missions across the region. Working alongside the Washoe County Sheriff’s Office and other medical and law enforcement agencies, Search and Rescue crews respond to all types of rescues, including backcountry, high/low angle rope, mine, swift water, dive team, and helicopter hoist. TEMS is an elite group of Tactical Paramedics that provide Advanced Life Support to SWAT officers across the region. 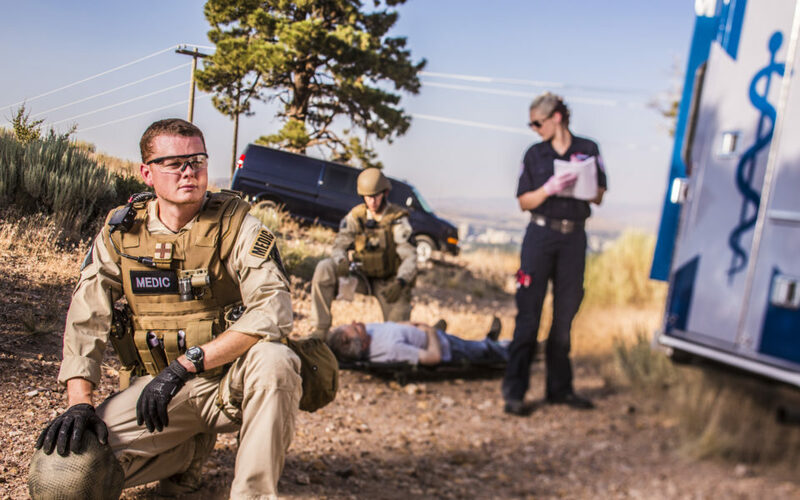 TEMS is an elite group of tactically trained paramedics that provide Advanced Life Support to SWAT officers and those they protect across the region. TEMS members are specially trained to provide point of injury care in crisis situations like high risk warrant service, dignitary protection details, and active shooter incidents"
In 2016, Care Flight, which already provided emergency treatment and transportation in Plumas County, enhanced operations through a partnership with Plumas District Hospital, to include ground ambulance services. The service responds to emergency calls and provides cohesive medical services throughout the hospital's service area. REMSA responds to approximately 70,000 calls per year and is responsible for all 9-1-1 EMS responses within Washoe County. 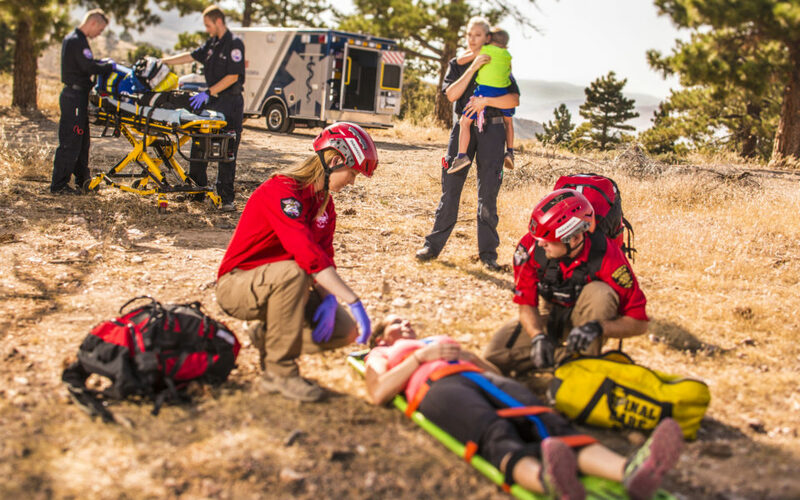 Our high performance system offers EMS providers an opportunity to practice prehospital medicine in a setting that encourages growth and development. 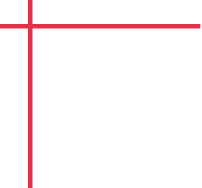 REMSA works with local businesses and organizations to provide cost-effective medical and emergency coverage for special events of all sizes and types from the Reno Rodeo to the National Championship Air Races, from school sporting events to concerts. With a fleet of adaptable vehicles and access to a variety of special teams, REMSA works with your organization to determine the appropriate level of medical services from EMTs to RNs to physicians and maximizes their presence with educational and outreach offerings. 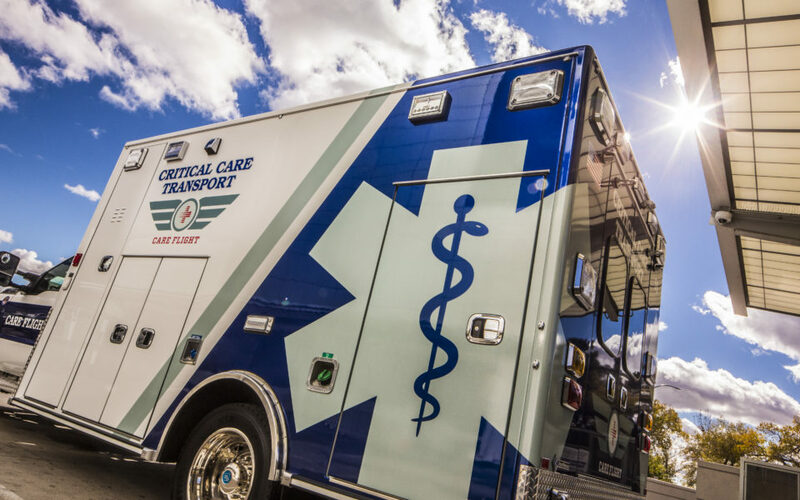 REMSA operates 44 advanced life support ambulances licensed by the state of Nevada and identically configured with life saving equipment and supplies bringing care right to you and your family when it matters most. Ambulances are staffed with a Paramedic and Advanced Emergency Medical Technician working as a team to respond, treat, and transport patients throughout the region. REMSA also operates a ground critical care ambulance staffed by Care Flight teams including a critical care nurse and paramedic and EMT driver. In addition to our fleet of ambulances and supervisor vehicles, REMSA uses speciality vehicles to assist our teams in responding in tough environments and the many special events throughout our region. Off road utility vehicles, T3s and mountain bikes provide a variety of options for our crews to respond and care for patients. Five full-time mechanics work to ensure the safety and reliability of our fleet. In addition to maintaining our ambulances, our mechanics service our speciality vehicles and equipment including Polaris Rangers, T3s, gurneys, and stair chairs making sure our entire fleet meets national safety standards and is ready to respond when needed. A team of dedicated technicians are responsible for ensuring ambulances are ready to respond from stocking medical equipment to ensuring ambulances are operational and ready for the next call. Utilizing a speed loading system and a team dedicated to efficient resource management we are able to deploy ambulances 24 hours a day, seven days a week as needed by region.